This is a problem. Without a proper seal, the food in your microwave will not cook evenly or completely. Be wary of running the microwave if the door doesn’t shut or seal properly. Occasionally, you might get a touch of something metallic in the microwave and it will spark for just a sec, but this should not be the norm. If there are sparks flying in your microwave, immediately open the door to stop the appliance, then unplug the device or cut power at the breaker. Do not turn the appliance back on until it has undergone professional microwave repair to avoid a fire hazard. 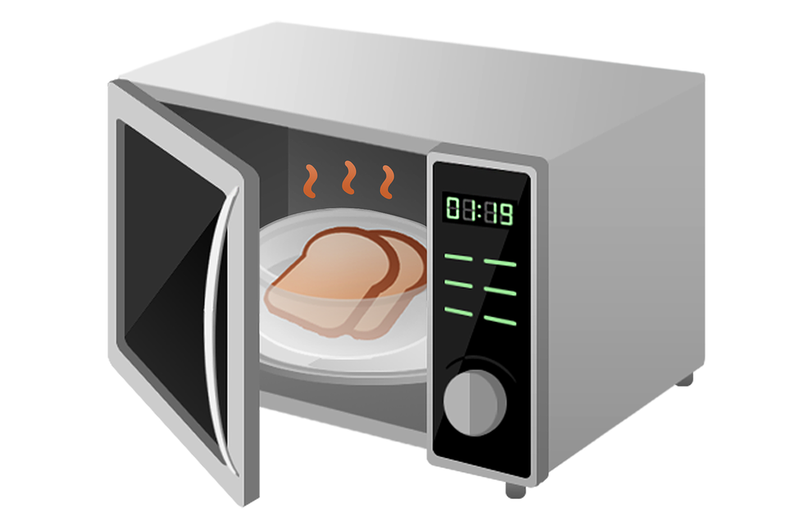 When the microwave is running, do you hear clanging, humming, or other loud noises coming from your microwave? If so, this can often be a sign of a turntable issue. If you do not immediately see an issue with the turntable after inspection, it’s time to call an expert Dallas appliance repairman to remedy the issue. If the food didn’t cook all the way and you know it should have in the time allocated, then something is off. Call the experts in microwave repair to fix the issue. Contact us at Appliance Rescue Service in Dallas, Texas if you experience any of these issues and need professional microwave repair in Dallas. Our expertly trained technicians will fix the problem quickly, so you’re back up and running in no time. We proudly serve Dallas, Fort Worth, Carrollton, Irving, Las Colinas, Flower Mound, Carrollton, Coppell. Grapevine, and more. Lemon is a natural cleaning agent, and a great one for cleaning the microwave! Grab a microwave safe bowl and fill it with ½-1 cup of water. Then take your lemon, cut it in half, and squeeze it into the water. Throw the lemon rinds in for good measure! And here’s a tip for helping the water not to boil over: throw in a toothpick as well! Now, set your microwave for 3 minutes and watch the magic work! The water will boil and create steam; the steam will loosen stubborn food particles that have been stuck to the sides of your microwave. After the 3 minutes are up, let it sit for a few minutes, then remove the water/lemon mixture, and wipe down the microwave with a clean cloth or sponge. A sparkling clean microwave awaits – and it smells good too! Don’t have a lemon on hand? No problem! Pour in some vinegar in place of the lemon. If you don’t like that vinegary smell, you can also add a drop or two of your favorite essential oil. Follow the chemical free cleaning instructions above and voila – clean microwave! From microwave cleaning tips to ideas on how to help them last longer, Appliance Rescue Service in Dallas, Texas is here for you! We are the Dallas appliance repair experts in Addison, Plano, Frisco, Richardson, Irving, Las Colinas, and the entire Dallas-Fort Worth Metroplex. Call us for your next appliance repair in Dallas!